Part of the Sustainable Sites Initiative, Woodland Discovery Playground was built to be as environmentally friendly as possible and sets a new international standard for environmental play. 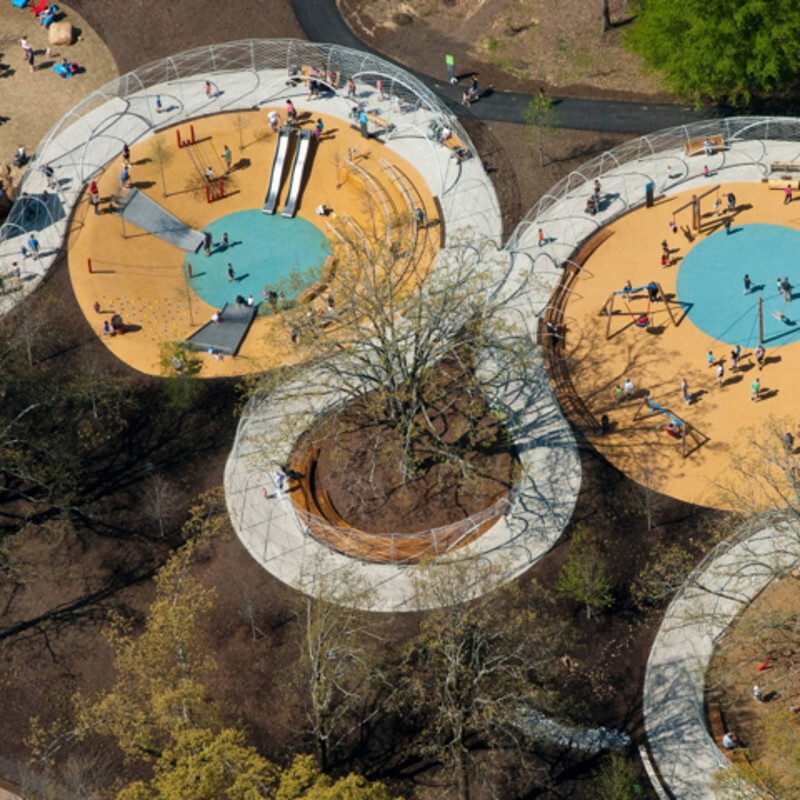 Designed with plenty of input from children, the park features six play “nests,” innovative play structures, a giant tree house and net climbing structure, an open grassy lawn, and a steel arbor planted with flowering vines and willows. Children at Woodland Discovery Playground are encouraged to slide, swing, climb, build, make noise, and most importantly, have fun.